While Bond’s drinking tastes have altered from his original classic Vesper Martini in Casino Royale, the glass shape remains as iconic as ever. Bit like ’Q’ though, we’ve added some special features. 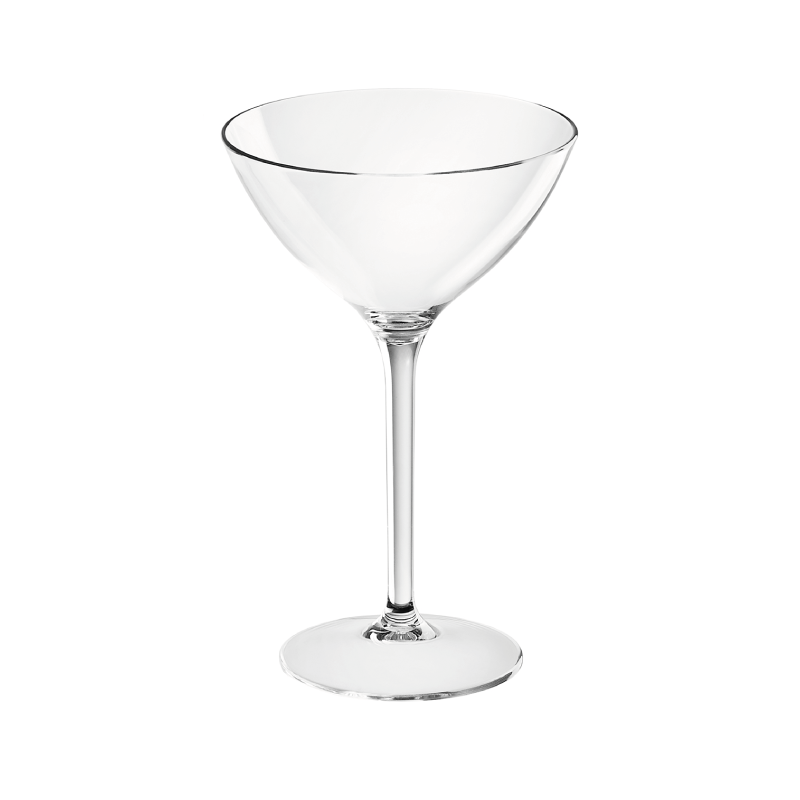 So whether shaken or stirred, our James cocktail glass will still be 100% eco recyclable, durable over 300 -500 dishwasher cycles; out gunning all other plastic glassware.